Your Keto Diet is going great, and you don’t want to sabotage it. But Thanksgiving is just around the corner and you need a plan to keep you in ketosis. We get it. 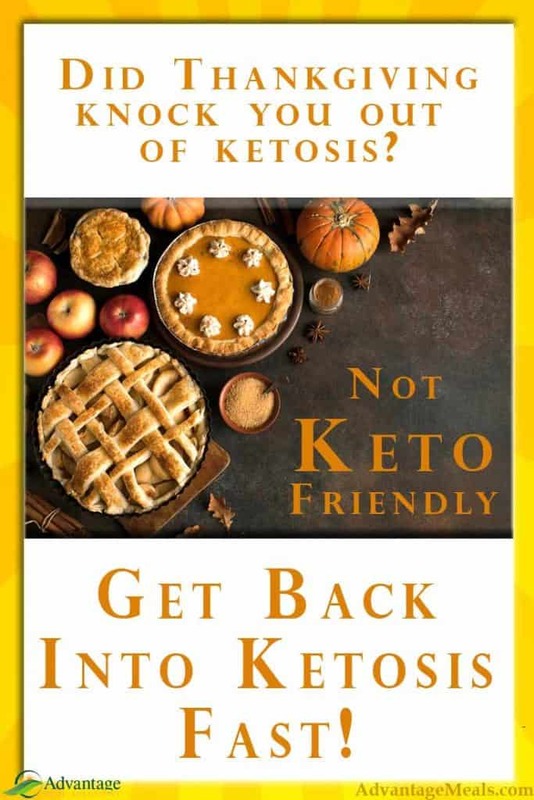 You don’t want to risk losing your ketones just for mashed potatoes and pumpkin pie. How are you going to do a Keto Thanksgiving that is good for your diet and still have a Thanksgiving feast that the family will enjoy? A carb-heavy Thanksgiving Meal might not even sound good anymore. Or maybe it does but you know how crappy it will make you feel if you carb load on Thanksgiving. Whatever your thought process, if you’ve decided you want to stay Keto for Thanksgiving, we understand. We’ve been surviving (and thriving!) family Thanksgivings while bucking Conventional Nutritional Wisdom for years. Along the way, we’ve learned a few tricks of the trade. Follow these keto dos and don’ts, and you’ll be happily having your Keto cake and eating it, too. This is Thanksgiving. This is the traditional day that we are thankful for abundance and we represent that abundance with piles of traditional Thanksgiving food. You know what traditional Thanksgiving foods are going to be served. You know what your family loves. You know your Aunt Matilda will try to get you to eat some of her sweet potatoes with marshmallows/dumplings with gravy/chocolate banana pudding dessert. There won’t be many surprises, so think about it and make sure you have a game plan. Bring keto-friendly alternatives if that’s what will help you stay on track. 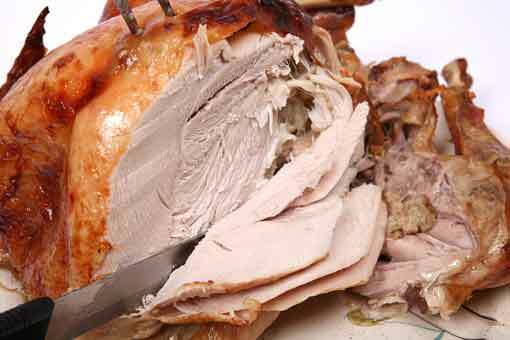 Decide that you will skip the mashed potatoes and have extra turkey instead. Think of what you will say to Aunt Matilda (without insulting her!). Tell her you’ve discovered that marshmallows, dumplings, or bananas give you heartburn and “nasty digestive issues.” A slight grimace will go a long way here. Most people will leave it at that (even Aunt Matilda), without any more questions. Enjoy what you do eat to the fullest. This is not a day to count calories. Stick to Keto Thanksgiving foods and beverages. Eat meat, vegetables and fats and don’t worry about how much you eat. A day of high calorie Keto foods is not going to set you back. It may even give you a boost, physically or mentally. Enjoy the day and be grateful…even thankful. That is what the day’s all about, right? #2 – Do Bring Keto-friendly food / Don’t Expect everyone to love it. For some things, you may want to bring just enough for yourself (or your household, if that applies). Mashed cauliflower, for example. You and I both know that mashed cauliflower loaded up with butter, heavy cream, cheese and bacon is awesome…but it ain’t mashed potatoes. For someone who is not eating Keto and doesn’t understand why you don’t want to eat traditional mashed potatoes, your awesome mashed cauliflower is just not going to be right. That’s fine. You can eat yours and feel great, they can eat theirs. No losers here. Same goes for dessert. Unless you are one of those lucky people who truly doesn’t have a sweet tooth and can bypass the dessert table with ease, definitely bring your own. Make or bake your own Keto dessert ahead and be ready to enjoy. However, there is no need to try to make something that everyone else will want. Your fabulous low-carb pumpkin pie with almond crust may be just the ticket for you, but your grandmother won’t get it or like it. That’s just fine. #3 – Do Bring high-fat items to share / Don’t Leave having enough fat to chance. You wouldn’t think that having enough fat would be an issue at a Thanksgiving feast celebration. There are tons of high fat foods at a Thanksgiving meal, right? The trouble is that most of those fats are completely wrapped up with carbs. Bring yummy, high-fat foods with you. And bring enough to share. Everyone loves fat, they just don’t yet know that good fat is good for them. Appetizer plates with great cheese, smoked sausage and olives go over well with almost everyone. You’ll know that you have plenty of fat to feel satisfied, and the rest of the gathering will just think you’ve brought an amazing charcuterie plate. If you’re interested in learning more about a good source for great unique charcuterie, check out The Carnivore Club. Sign up today for Carnivore Club and get Free Shipping on all orders! 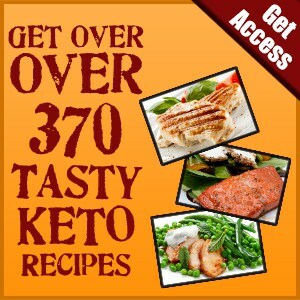 (Affiliate Link) Be sure to tell them that you are low carb, or just be ready to gift any higher carb meats. In the “Market Place” option on their website you can see the nutrition for each of their meats and lots are zero carb. #4 – Do Enjoy a glass of wine or other low-carb drink. / Don’t Overindulge. If your family celebrations include adult beverages and you want to have one or two, go for it! There are any number of low-carb adult beverage choices on the Keto menu. Be careful here. Set yourself a limit and don’t go over. The dessert table gets a lot harder to walk past after too many drinks. #5 – Do Answer honestly if asked about Keto / Don’t Whine or preach. Unless you are talking with someone that you already know is very supportive of your ketogenic lifestyle, keep any conversations about your way of eating short and simple. Focus on the positives, with short comments about how great you feel or the weight you’ve lost. Framing is important if people ask specifics about what you are eating. Statements like “I choose not to eat bread” instead of “I can’t eat bread” can be powerful. No whining about how much you miss carbs! This will only invite the haters. 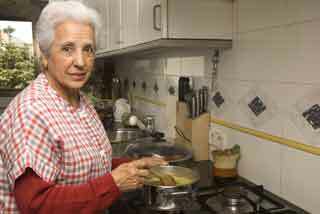 Or make your mother or grandmother feel the need to throw in their well-intentioned advice. Definitely don’t preach about how everyone should go Keto. You’re there to enjoy your family, not create an army of Keto converts. You wouldn’t want to listen to someone try to talk you into a super low-fat diet, would you? Your example will give them something to think about. Let that speak for itself. When they see that you are healthy and happy and enjoying the food you are eating, it may lead them to want to learn more later. Keto on and lead by example. #6 – Don’t Beat yourself up / Do Forgive yourself and move on. Let’s say you fall off the wagon. The mashed potatoes fell on your plate. Aunt Matilda force fed you dumplings. The dessert table just would Not. Stop. Beckoning. Or maybe you made a conscious decision to enjoy your family’s traditional Thanksgiving dishes and chose not to Keto today. Tomorrow is a new day. One day of overindulgence isn’t the end of the world. When it’s done, it’s done. The first time you transitioned into ketosis, it was hard. But now you are fat adapted, and it will be easier and faster. A year from now, it will even be easier and faster. One day off of Keto is not the end of your ketogenic way of eating; it is literally just one day of not eating keto. You may find that a day of eating all the crazy carbs helps you. Or you may have a sugar hangover. Either way, you’ll know how it affects you and you can file that information away to influence future ‘keto cheat day’ decisions. 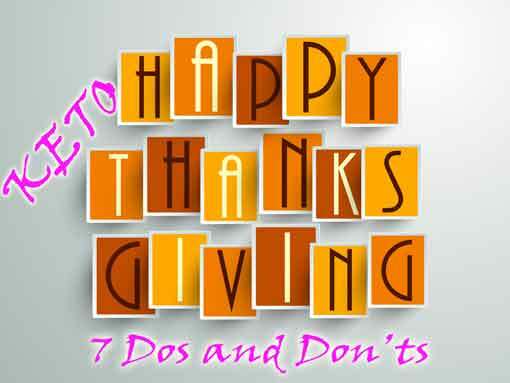 #7 – Don’t Spend the day worrying about everything you eat / Do Enjoy the day and your family. Thanksgiving is a time of celebration and family. Talk, play games, watch football. Do whatever it is that your family does around their Thanksgiving meal. At the core, this isn’t a Keto Thanksgiving, it’s a Family Thanksgiving. Enjoy your day with your family, and be thankful. And quietly be thankful that you have found a way of eating that supports you and helps you feel great. And no matter how the day goes or what you eat, Keto will still be there tomorrow. 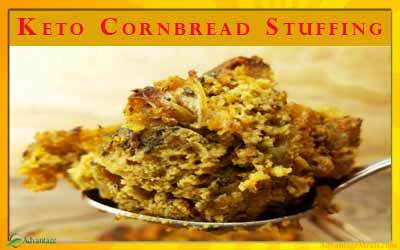 Need Keto Thanksgiving Recipes & Information?